When Alice Ozma was nine years old, her father made a promise: to read to her every night, without missing a night, for one-hundred nights. But once the pair met their goal, they couldn't stop. 100 became 1,000, and eventually, they decided to read as long as they possibly could. The Reading Streak, as they called it, ultimately lasted 3,218, finally ending on Alice's first day of college. 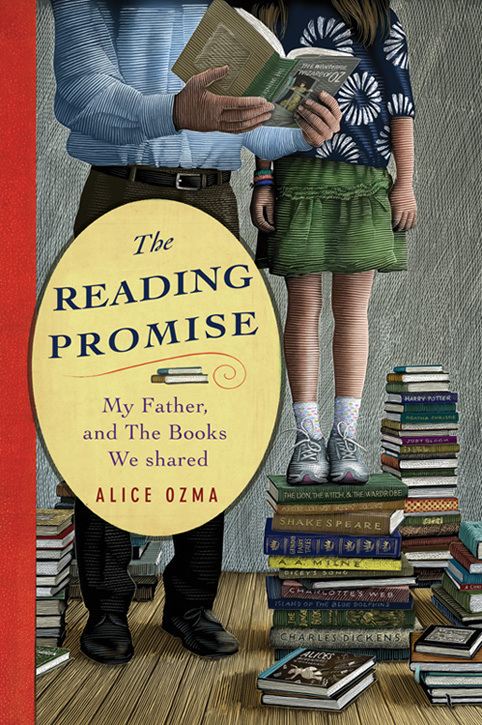 The story of their amazing commitment to reading, and to each other, is chronicled in Alice Ozma's book The Reading Promise: My Father and the Books We Shared, available in stores in time for Father's Day 2011. The Reading Streak changed their lives so profoundly, Alice has made a commitment to spread the word about reading and the importance of making a reading promise. The reading promise is simply a promise to read to yourself, read to someone else, and protect and defend reading in your community. It's a promise anyone can make, and a movement you'll feel good about. Improve your life and the lives of those around you- make your own reading promise today.